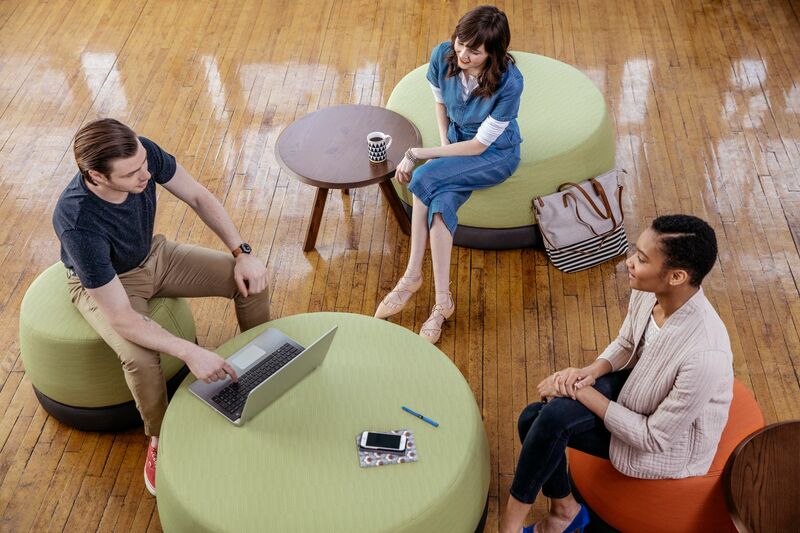 A collection of surfaces and seating, Qui is a flexible-use product that offers a multiplicity of deployments in reconfigurable formats. 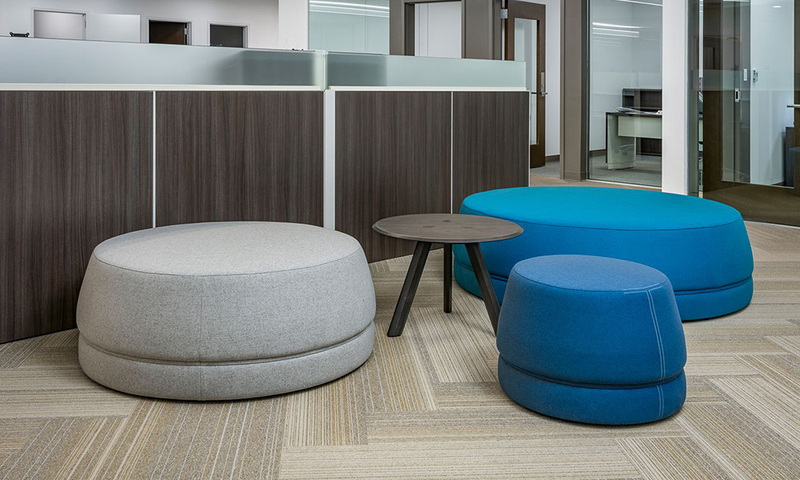 The collection defines and creates environments to encourage meaningful dialogue between a multitude of colleagues and small-format, touch-point areas for quick interactions and exchanges. 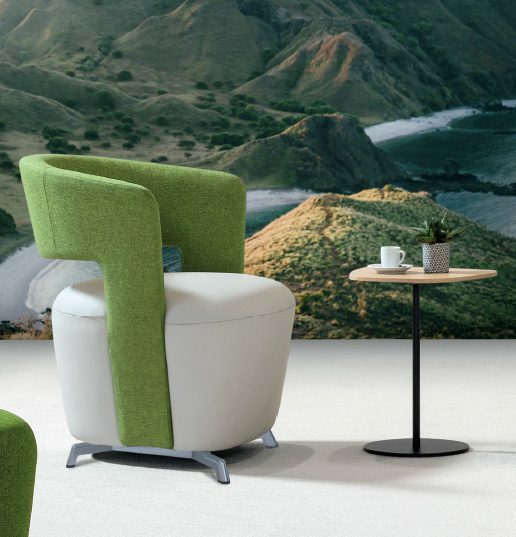 Designed by Monica Armani, the Qui collection comes from the idea of creating a family of products geared towards the theme of versatility to respond to the new and diverse needs of contemporary life and work. The items are conceived to be used with balance and harmony and create comfortable, cozy spaces that can be experienced and interpreted in different ways. 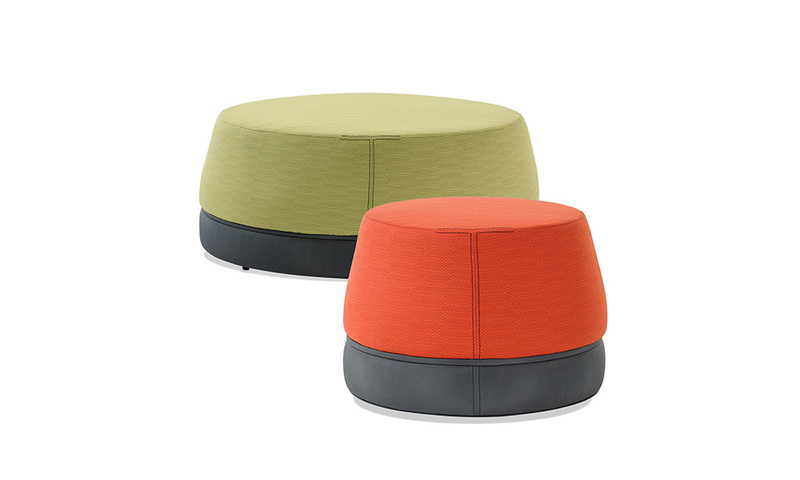 Ottomans are available in three sizes: small, small with casters, medium and large ottomans. 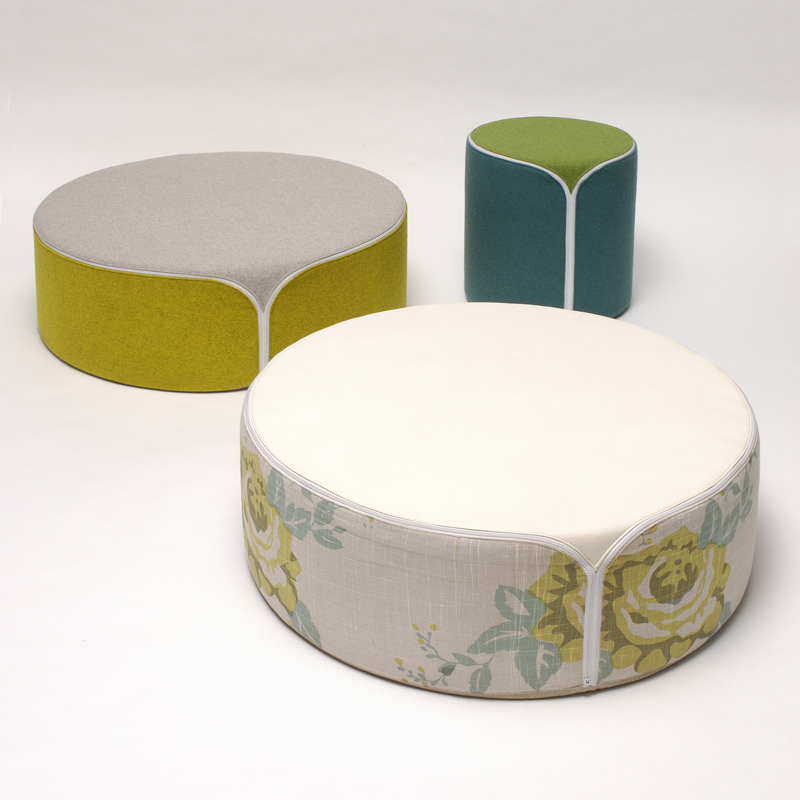 Upholstery can be implemented on top, middle and bottom of ottoman can be finished in fabrics available from Luum; COM/COL. Wood Finish available in: Natural Oak, Acorn, Sierra, Java Bean, Cocoa Brown or True. 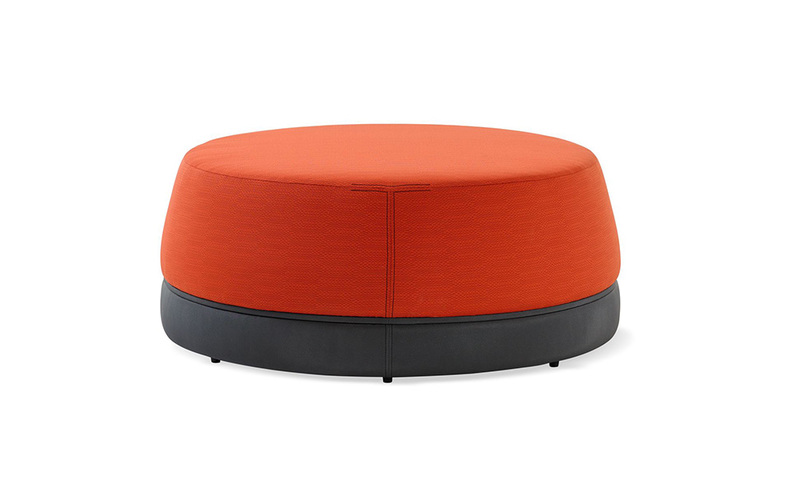 Ottoman Diameter: 25.5 inches, 44.5 inches or 60 inches. 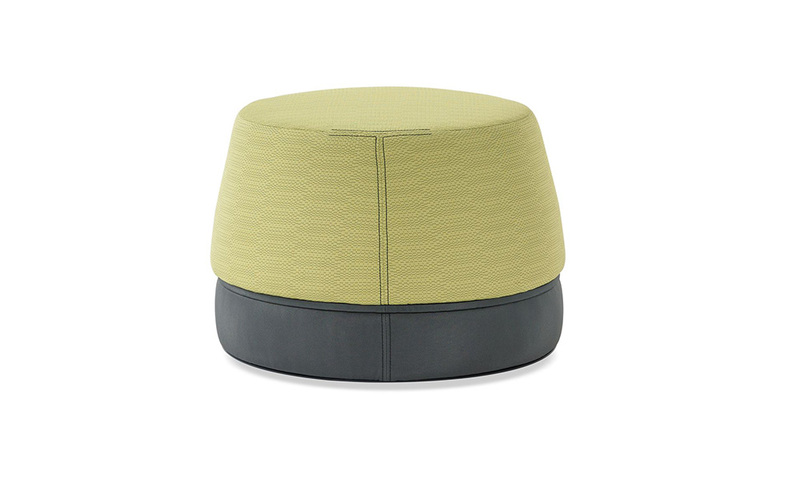 Seat, mid-panel and base upholstery finishes available. Mid-Panel: upholstery or wood detail ring. 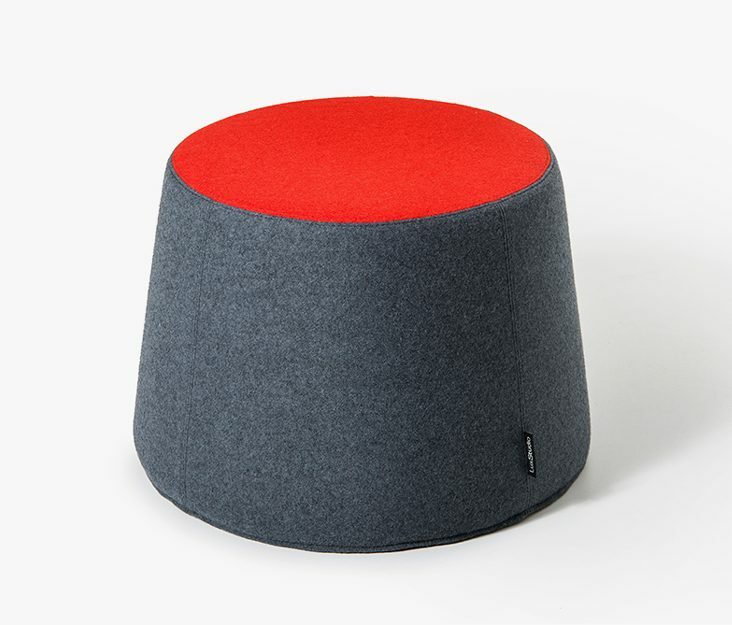 Optional USB power available in the medium and large ottomans to integrate technology into the collaborative environment. Contrasting detail stitch available in nine different colours.